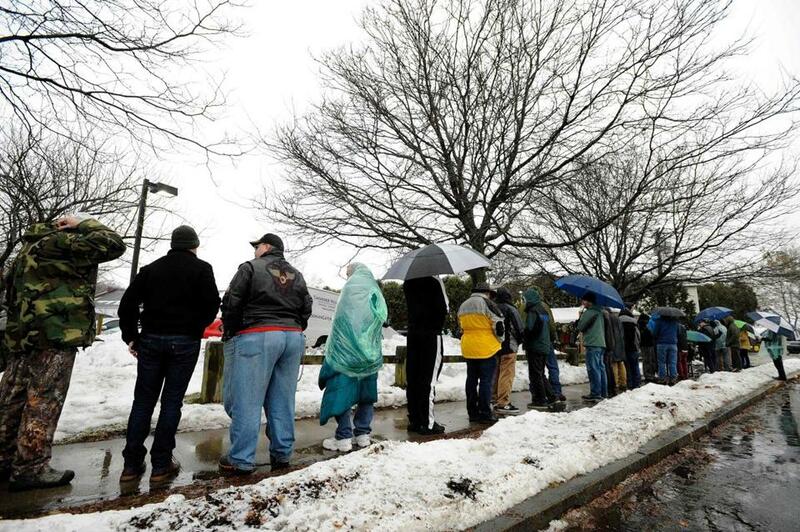 People waited in line for hours on the opening day of sales of marijuana to the general public at a site in Northampton in November 2018. Just what are state officials smoking? I was mystified at Massachusetts Cannabis Control Commissioner Britte McBride’s assertion that the paramount intended effect of the marijuana legalization law was to “reduce the illicit market” (“State’s illegal pot market still robust,” Page A1, Feb. 3). First, if she really thinks this is the case, then why the painfully slow rollout of the mechanisms for the state’s legal pot marketplace? One surefire way to achieve a significant reduction in illicit sales is to do more to enable licit sales, as proven by the experience in Colorado, Washington, and Oregon. Second, to interpret the primary intent of the law as targeting illicit sales instead of (1) eliminating a thoroughly discredited and ineffective penalty for marijuana sale and consumption, (2) providing a lucrative revenue stream for the state and towns, and/or (3) developing a robust industry that can provide jobs and a much-desired product, is to ascribe thoughts in the mind of the electorate that are not borne out by any polling. Maybe McBride and her colleagues should stick to their jobs of implementing the actual will of the people. Your article “State’s illegal pot market still robust” shows that access to legal cannabis in Massachusetts is far too restricted. If buying legal cannabis from a corner store were as easy as buying it from an illicit operator on the corner or — even more conveniently — in the comfort of your home, more people would do it and gladly forgo purchasing from the illicit market. While the state’s Cannabis Control Commission is pushing forward to quickly license more cannabis businesses, it will take years to get 690 retail dispensaries — the suggested density required to discourage the illicit market — operational in Massachusetts. So, if tamping down the illicit market is the public policy and public safety goal of legalization, what tools do we have available? Regulated delivery services can be a solution to adding consumer convenience in areas where the nearest cannabis retailer is far away or for medical patients with limited mobility. Every transaction, product, and delivery can be tracked and accounted for while providing consumers with the convenience and accessibility lost in the absence of legal storefronts. Allowing for regulated delivery services would help provide a greater number of legal access points, reducing both illegal market operations and crime.